According to Erik Boland of Newsday Sports, Orlando Hernandez, Reggie Jackson, Ron Guidry, Hideki Matsui, Rich Gossage, Willie Randolph, Stump Merrill, and Lee Mazzilli are all scheduled to take part in this year’s Spring Training workouts. As the team prepares for the 2016 season, having these Yankee greats around will be beneficial, especially with the younger group of players who have been invited to the team’s big league camp for Spring Training. After a disappointing ending to the 2015 season, the Yankees hope they an bounce back in 2016, ultimately competing for another World Series title. Although the Yankees have their mindset on winning another championship in 2016, there is focus on the future of the organization as well. With some of the team’s top young prospects receiving non-roster invites to big league camp this spring, such as Jorge Mateo and Aaron Judge, the organization hopes that these players are not only able to gain some valuable experience on the field, but are also able to learn from some of the best that ever wore the Yankee pinstripes. 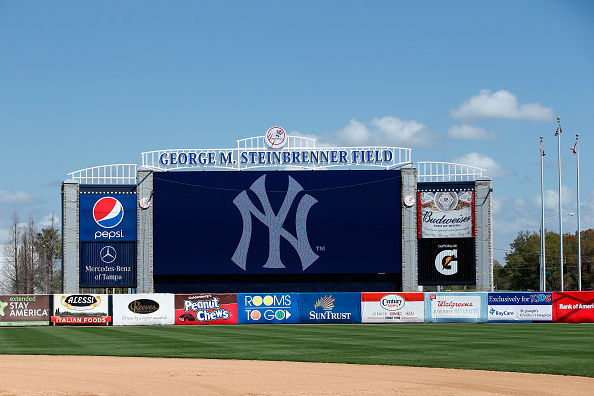 The team’s pitchers and catchers report to George M. Steinbrenner Field in Tampa, Florida on Thursday, February 18. A week later, the team is scheduled to take part in their first full team workout of the 2016 campaign.